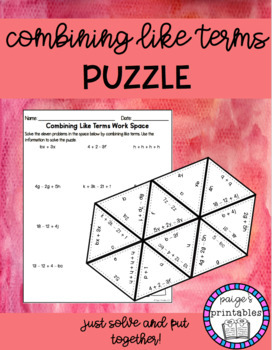 Students will be able to use their knowledge of combining like terms in this fun puzzle activity. Your mathematicians will complete the workspace sheet, solving 11 combining like terms problems, then match the problem with the answer to solve the puzzle! 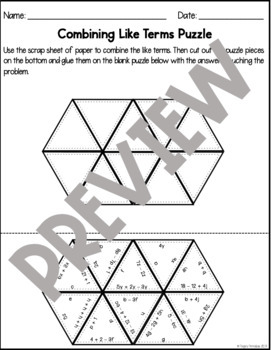 Puzzle Paper - already scrambled and ready for printing! This activity is PERFECT for morning work, sub tubs, or math centers!